On the way to a famous match, Miyamoto Musashi was passing a shrine dedicated to the god of war. He stopped a moment, intending to pray to the god for victory, but when walking to the altar he realized something important. Musashi had never depended on the gods or buddhas. He had always relied on himself and to do otherwise at that point would be wrong. Struck by the revelation, he bowed with gratitude and hurried on his way. Years later he would say, “Respect the gods and buddhas, but do not rely on them.” He would tell his students that such dependence is an impediment to self-discovery. 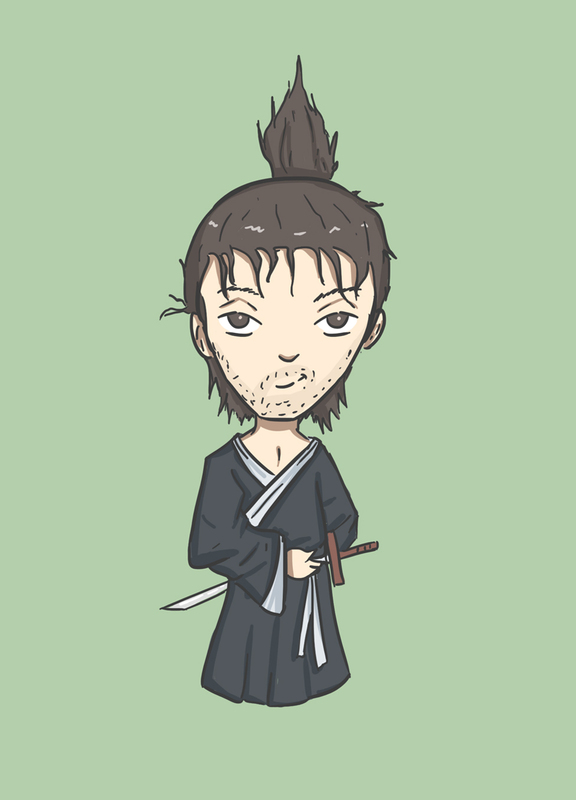 Miyamoto Musashi was strikingly accomplished: famous swordsman and martial artist, painter, designer of towns and gardens, and above all, master of himself. He always acted with etiquette, worked diligently at any task, and was dedicated to finding the things that helped him progress. Both in martial and visual arts he was open to exploring many styles, but was steadfastly individualist when creating his own. His search for greater truths reflected this belief, always avoiding definition under any religion or label. Any search for truth is influenced by the life and experiences of the seeker and every path to realization is different. A strong sense of self-reliance can be a form of honesty. A seeker can be open to trying many ways, but must be honest and know what works or what should be bowed to and left behind. Musashi demonstrated how to do this. He mastered each field of study that he chose, but always showed gratitude and etiquette whether something was useful or not. Today there are many ways to explore spirituality. Musashi shows us how to explore these paths, but reminds us to ultimately look to ourselves to determine the truth.